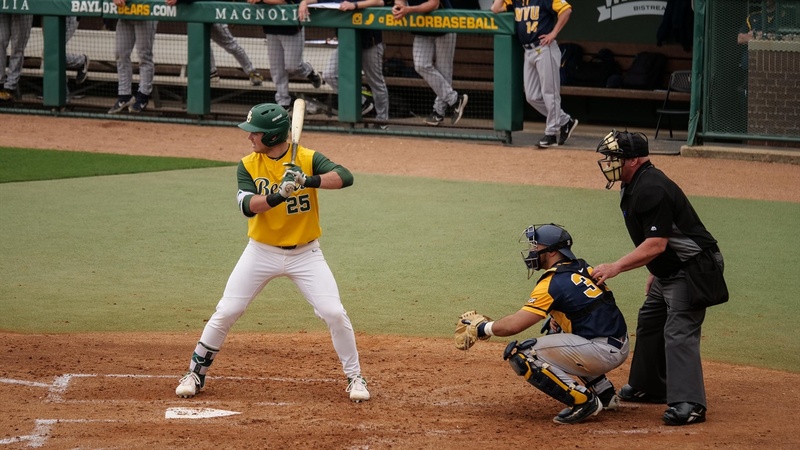 WACO, Texas – The Bears completed the sweep of West Virginia with an eight-inning 10-4 come-from-behind victory over the Mountaineers on Sunday afternoon at Baylor Ballpark. The Bears (16-6, 3-0 Big 12) trailed for the first six innings before coming through with a big seventh inning, plating six runs on four hits to take the lead and never looked back, adding three more on a three-run home run by Andy Thomas in the bottom of the eighth before the game was called due to travel curfew. The Mountaineers (13-10, 0-3 Big 12) jumped on the Bears early, touching up starter Ryan Leckich for three runs on two hits before reliever Blake Helton entered to end the inning. The Bears got one run back in the bottom of the second as Josh Bissonette singled home Davion Downey with two outs, making it a 3-1 Mountaineer lead. In the sixth, the Mountaineers added one on a solo home run by Paul McIntosh off Baylor reliever Jacob Ashkinos, putting the Bears down, 4-1. The Bears were able to break things open in the seventh inning, bringing 12 men to the plate and scoring all six runs with two outs. With two on and two out, Nick Loftin singled home the first run of the inning, bringing the Bears within two, 4-2. Richard Cunningham then followed with an RBI single of his own to pull within one, 4-3. Davis Wendzel was intentionally walked to load the bases and the Mountaineers went to the pen for reliever Beau Lowery, chasing starter Kade Strowd. Lowery walked in the game-tying run as Thomas drew the walk. Shea Langeliers then broke things open with a two-RBI double, giving the Bears their first lead of the day, 6-4. The Mountaineers went back to the pen one more time for reliever Tristen Hudson and a wild pitch plated the sixth run of the day for the Bears, giving them a 7-4 lead. Closer Kyle Hill entered and pitched a 1-2-3 top of the eighth inning, solidifying his fourth save of the year. The Bears got the bottom of the eighth started right inside West Virginia’s travel curfew and Thomas launched his first home run of the year, a three-run shot to make the final score, 10-4 Bears. Baylor reliever Luke Boyd earned the win, his second of the season, while Mountaineer starter Strowd took the loss to fall to 2-2 on the year. *Baylor has won seven of its last nine games. *The Bears have swept three weekend series on the year. *The Bears have won four of their five weekend home series this season. *Andy Thomas blasted his first home run of the season, a three-run home run. It is his third homer of his career. *Since inserting Nick Loftin in the leadoff spot, the Bears have scored 67 runs on 99 hits in their last nine games. Loftin is 13-for-35 with 3 HR, 7 RBI and 11 runs scored during the stretch. The Bears are 7-2 in such games. *The sweep of West Virginia is the first sweep of a conference series since doing so at Kansas State, April 27-29, 2018. It is the first conference sweep at home since sweeping TCU, April 20-22, 2018. *The Bears have recorded an extra base hit in 21 of 22 games this season. *Shea Langeliers has caught 5 baserunners stealing this year, including all four that have tried to run on him this weekend. *A. Thomas finished with 4 RBI, a new season-high, tying his career-high. *Loftin and Bissonette had 2 hits apiece on the day. *Nick Loftin has a nine-game on-base streak. He picked up his team-leading 14th multi-hit game of the year. 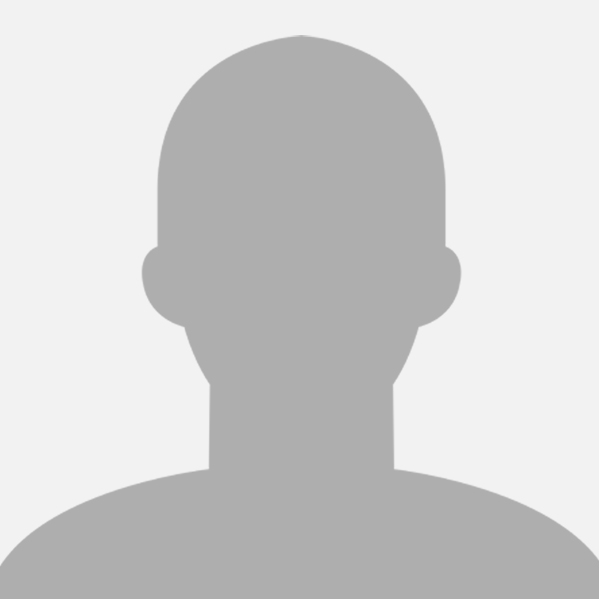 *Andy Thomas extended his on-base streak to nine games. *Haring has a six-game on-base streak. *Leckich made his first start of the season, fourth of his career. It was also his second appearance of the weekend after throwing 2.0 shutout innings on Friday. *Helton made his fifth appearance of the year on the mound. *Ashkinos made his eighth appearance of the year and second of the weekend. He tossed 0.2 innings on Friday vs. the Mountaineers. *Boyd made his 10th appearance of the year, third eighth out of the bullpen. 6– The Bears plated 6 runs to take the lead in the seventh inning, all with 2 outs. The Bears remain at home and will host Texas Southern on Tuesday, March 25 at 6:35 p.m. CT.